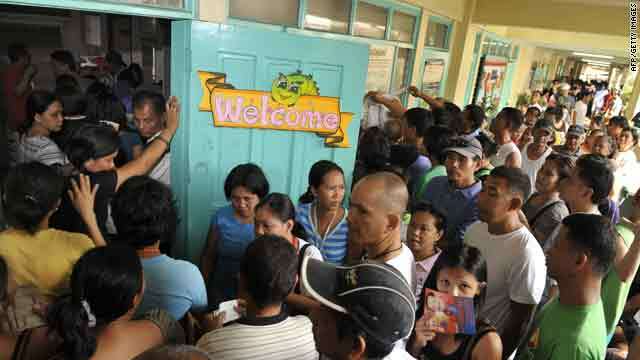 Senator Benigno Aquino has taken the lead in the race for the Philippine presidency. 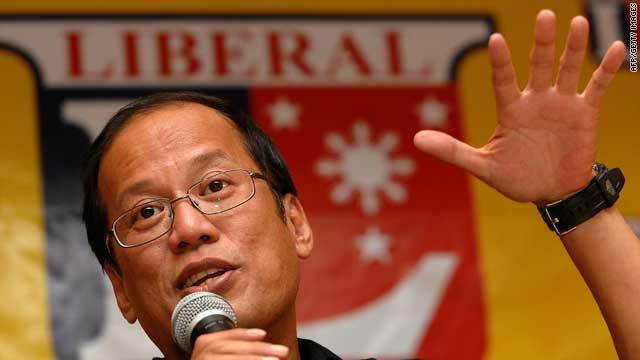 Aquino told CNN Tuesday that politicians must be responsible to those who elected them. "We are public servants," he said. "You're the public, you're the masters, you're the one with wants and needs that should be wanted and delivered. And we'll bring it back to that point." That meant making it possible for people to improve their lives, he said. "You want to level the playing field, giving everyone the chance to advance their status in life, the opportunities to improve their lot," he said. Because the country's president can serve only a single term, he can put the country's interests first, the front-runner said. "I have the freedom to be able to decide what is best and good for our country rather to embark in political considerations," he said. Aquino, nicknamed "Noynoy," is the son of the former president and Sen. Benigno "Ninoy" Aquino Jr., who was assassinated in 1983 as he returned from exile to lead opposition to Cold War-era Philippine strongman Ferdinand Marcos.